of Maharana Pratap, which has a longstanding relationship with Project WHY. The Lohars (ironsmiths) are a nomadic Indian tribe from Rajasthan (Chittorgarh), known to repair arms and shoe horses. One of their camps, containing 30 families, was located close to Project WHY Govindpuri centre. The sight of the Lohar children running and playing amongst the traffic light caught the attention of Project WHY. In 2005, The Project WHY Lohar Centre began, offered a crèche and primary school support for the children. Though the Lohar Centre no longer exists, Project WHY continues to employ people from this community. Sanjay Padiyar, was one of seven children in the Padiyar family residing in the Lohars camp. Like his forefathers, Sanjay seemed destined to become a blacksmith. However, it soon became apparent that Sanjay’s dreams were much bigger. Having joined Project WHY classes, he finished his schooling. Through the recommendation of his sister, Project WHY employed Sanjay as a resource person. Sanjay was a primary teacher, and took the responsibility to teach at Project WHY for five years. His gentle ways and boundless patience made him a great favorite with the children. Despite his progress, he still took showers on the roadside, convinced that people like him could not transform their lives. a Bollywood star”. It was not to be films, but that documentary led Sanjay Padiyar to the fashion ramp. In 2010, Sanjay walked the ramp for a top designer, Narinder Kumar, at the Lakme Fashion Week. 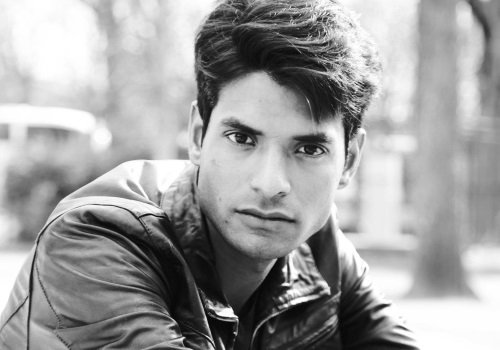 In June 2011, Sanjay walked for Agnès B at her Paris Show, and has become a “poster child of rags to riches”. Sanjay is living his dream and the showers on the street side seem like a distant memory. He continues to model, and has also now opened his own gym. He has become a beacon of hope to his community who hope to follow in his footsteps and achieve their dreams.